The intention of the democratic party is clear: They want votes no matter what the cost. There is nothing noble about what they are doing. They don’t care about poverty, they don’t care about safety, they don’t care about equality. They are in it for votes. Period. All their rhetoric about poverty, equality, religious freedom and human rights is pure window dressing. They are betting that no matter how much harm comes to innocent Americans—it is worth it. No matter how much they damage cities it is worth it. No matter who, and how, anyone gets hurt, it is worth it. The illegal vote is omnipotent to them. They will harm Americans in poverty in favor of illegals. They will break Federal Law for illegals. They will hurt their own constituents—they will abandon people who voted for them. They have till March to deal with DACA, and Republicans have already said they want to help. It was a fight they didn’t need to start. It was grandstanding—they threw a bone to illegals. They shut down the government knowing it would cut off the money to our soldiers, children, and a host of others. The last time the government shut down it cost 24 Billion dollars. You really believe their intentions are honorable? Having failed every demographic group, they ever swore to help—having left a trail of devastation, littered with homeless camps (see video below) and despair—they seek fresh meat—someone unfamiliar with their record of failure, someone to keep them alive. A sanctuary city—to them—means something totally different. It means a sanctuary for career politicians to remain in power. It means sanctuary for bankrupt and failed policies. California is now the king of poverty. Still, they pursue a course of pure madness. Businesses are already leaving California…so what do they do? After Trump lowered the corporate tax rate—California introduced a bill to take half of the money businesses will save. And do what with it? Actually? Fund health care for illegals. I can’t make this stuff up. Since October 1, when the government shutdown began, the media have run dozens upon dozens of stories about victims of the shutdown. Over the same period of time, the media have run virtually no stories about businesses suffering thanks to Obamacare, low-income people victimized by the new Obamacare tax, and economic chaos thanks to the impact of Obamacare. That’s particularly ridiculous given that with the furloughed federal workers soon to be back at their desks and paid for their furloughed time, the number of people seriously hurt by the government shutdown is minute, as opposed to the widespread damage from Obamacare. The Washington Post was a key offender in its bias. Between October 1 and October 16, the Washington Post website published over 220 stories both from its own writers and the wires focusing on the supposedly horrible effects of the government shutdown. Most obviously, the Post ran a story declaring, simply, “Government shutdown generates stories of misery around the country.” But when it came to the implementation of Obamacare, though the Post ran more than 80 stories, many of them on failures of the Obamacare website, it apparently ran a grand total of 3 that focused mainly on the individuals and small businesses victimized by Obamacare itself. The three articles openly criticizing Obamacare by focusing on victims included one about aveterinarian paying more for equipment thanks to the medical device tax, one about a local utility saying that coverage would be dropped, and one quoting a “Rush Limbaugh fan.” That was it. There were a few occasional pieces pointing out structural flaws in Obamacare (generally the call from the Post was to rectify those flaws by extending more federal dollars), but those were few and far between. There were several op-eds against Obamacare, but thePost ran more pieces about the potential glories of Obamacare: “The myth about job-killing Obamacare,” “Obamacare saved my family from financial ruin,” a piece about a person happy to sit for hours at the failed Obamacare website to purchase insurance, young people looking forward to the exchanges, and op-eds proclaiming that the American people aredying for Obamacare. 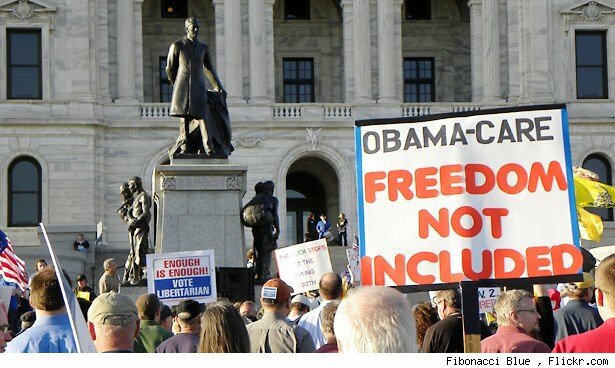 The forty or so articles about the Obamacare rollout were generally negative – that is, except for the fact that the rollout was largely faulty, according to multiple articles in thePost, thanks to overdemand, and once fixed, buying Obamacare would be “pretty easy!” And, hey, in the end, “Google will make you immortal (and Obamacare will pay for it),” thePost reported. As for small business concerns, those were based on myths. The most amusing piece was certainly one from spouses of federal workers asking for the government to take them back to get them out of the house (“Take them back – please!”). There were myriad generalized stories about how the shutdown would inevitably doom the American economy. The economy of Washington D.C. came in for heavy coverage; small business, too, was said to be on the rocks thanks to the shutdown (including auto sales,crab fishermen, pawn shops, Silicon Valley start-ups, craft brewers, and food trucks). Ford’s Theater took it on the chin. National parks closed. Contractors were suddenly victims, as opposed to the more usual representatives of the military industrial complex. Education fell victim to the shutdown. So, of course, did veterans and tourists. Even lottery winners had to wait for their winnings, the Post reported. The White House’s magical organic garden, too, became a victim of the shutdown (“Weeds have sprouted. Sweet potatoes are unpicked,” the Post lamented). Museums closed. Children couldn’t go to the Zoo. The weather was even affected. But, the Post reported, the stink bug remained at the mercy of the neutered federal government. There were several pictorial depictions of the utter misery of the American population over the government shutdown. There were old people being screwed out of their Social Security; investigations into plane accidents and the deaths of civil rights leaders being abandoned;court cases going unprocessed; operas going unsung. Youth lacrosse faced the chopping block, as did some charities. Cancer patients faced death thanks to the shutdown, reported the Post. Weddings faced location changes. Just in case readers didn’t get the point, the Post ran explanatory articles illustrating “8 immoral ways the government shutdown is hurting the needy,” “15 ways the Federal shutdown is hampering the National Weather Service,” “Nine ways the shutdown is only going to get worse,” “10 ways the shutdown is dangerous,” “Nine painful effects of a shutdown,” “10 ways the shutdown will affect your daily life,” and “The government shutdown – in 9 images.” There were how-to articles on what to do with free time during the shutdown, feeding your family during a furlough, hooking up on Craigslist during a shutdown, and, of course, shutdown shopping. There were personal accounts of losing Head Start and being furloughed and moving from the White House to bartending; the government shutdown was “told in food”; somehow, even a frozen eagle became the subject of a shutdown story. So, how did The New York Times stack up in its coverage of victims of the government shutdown versus victims of Obamacare? It ran well over 80 stories about victims of the government shutdown, ranging from general takes on the economic situation to lamentations about a new FEMA employee losing her job; from automakers taking a hit to Native Americans suffering; from foreign policy to restaurants; from a Tyrannosaurus Rex not entering a museum to furloughed employees having shutdown parties. The Times ran zero stories about those negatively affected by Obamacare itself. It ran a story on old people being confused by the Obamacare exchanges; it ran several stories on its technological drawbacks; it ran a few stories on drafting errors (to be expected, and generally correctible, said the Times). But the Times ran a slew of Paul Krugman odes to Obamacare, several pieces talking about how small business benefitted from Obamacare, or at least had little impact on jobs. There were no stories of victims of Obamacare in that entire period. Brian Williams’ NBC Nightly News was no better. From October 1 to October 16, the program spent over 30 minutes discussing victims of the government shutdown. Victims included a former Navy diver (“if it wasn’t for the check, we’d lose everything”), furloughed federal workers (“yeah, that will put us behind, it will put us very behind as far as trying to catch up with bills”), and local restaurant workers near federal centers (“it was rough, last week was rough, I had a day where I made like $9 total”). All Obamacare coverage was relegated to discussion of website glitches, but no actual victims of Obamacare were shown (all victims were people in need of healthcare whom Obamacare would help once the glitches were ironed out). How about CBS Evening News with Scott Pelley? Aside from segments about the Obamacare glitches (which, again, underscored the idea that people need Obamacare but were having trouble obtaining it, and took about nine minutes of total airtime), there were no stories about victims of Obamacare. There was a two minute segment about evil Republican governors who hadn’t expanded Medicaid under Obamacare, however. CBS rolled out approximately 27 minutes worth of stories on government shutdown victims, including frustrated federal workers complaining about not being paid, lack of military death benefits (“New casualties of this battle, the families of Americans who made the ultimate sacrifice”), and even the owner of a Joshua Tree store suffering from the parks shutdown (“closing the parks now would be like closing the malls at Christmas”). “Real consequences for real people,” intoned anchor Pelley on October 7. Overall, the Washington Post and New York Times covered victims of the government shutdown over victims of Obamacare by a margin of 100 to 1; ABC, NBC, and CBS News all covered victims of the government shutdown over victims of Obamacare by a margin of over 78 minutes to zero. Jeremy Boreing, Paul Bois, and Yehuda Remer contributed to this piece. 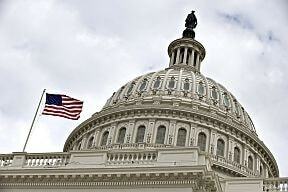 Budget deal allows for January federal pay raise. The budget measure that ended the partial government shutdown allows for a 1 percent raise for federal employees in January in addition to providing back pay for those furloughed, according to two Democratic Maryland senators. “The promise of a modest pay raise and back pay for furloughed government employees are good first steps in recognizing the value of federal workers,” said Sen. Barbara A. Mikulski, chairwoman of the Senate Appropriations Committee in a joint statement with Sen. Ben Cardin. “I’m proud we were able to fulfill our promise to make them whole again with back pay and finally break through the pay freeze with a modest adjustment for next year,” said Cardin, a member of the Senate Finance Committee. Federal employee salary rates have not been increased since January 2010. Some employees have had their pay frozen that entire time while some have received raises due to promotion, performance, or on advancing up the steps of their pay grades. President Obama proposed a 1 percent raise for January 2014 in his budget plan released in the spring. Over the following months, Congress drafted spending bills for fiscal year 2014 that mostly were totally silent regarding a raise or that said that if one is paid, agencies would have to absorb the cost out of other spending. One Senate measure, however, specifically endorsed a 1 percent raise. In late August, Obama announced his intent to set a 1 percent January raise by default, as is allowed by federal pay law, if no other figure, including zero, were enacted into law by the end of the calendar year. The budget measure that ended the partial government shutdown and lifted the federal debt ceiling extends agency funding roughly at prior levels through Jan. 15. It “would permit the President to implement his plan for a 1 percent pay raise in January, 2014,” according to the joint statement. A presidential order would be needed in December to finalize the raise, which would take effect with the first full pay period of January, sometime early in the month depending on agency pay cycles. An effort could yet be made in Congress to continue the salary rate freeze but the underlying presumption now is that the increase will be paid and supporters would fight strenuously to preserve it, a Capitol Hill official said. Senate leaders announce agreement to end shutdown, raise debt. Top senators struck a deal Wednesday to reopen the government and extend the federal government’s borrowing authority into next year and both sides of the Capitol are hoping for quick action to reassure nervous financial markets eyeing a Thursday deadline set by the Treasury Department. “The compromise we reached will provide our economy with the stability it desperately needs,” Senate Majority Leader Harry Reid said after he and his GOP counterpart, Sen. Mitch McConnell, struck the deal. For Republicans, the deal was more about getting an embarrassing couple of weeks behind them than in being able to claim victory in a deal that they felt compelled to make. “It’s my hope that today we can put some of those most urgent issues behind us,” Mr. McConnell said. The agreement by Mr. Reid and Mr. McConnell signals the bill should clear the Senate, but it must also survive the House, where Republicans have the majority but leaders have shown little ability to control the floor. The legislation will likely require House Democrats to provide the majority of support. The deal would reopen the government with a stopgap spending bill running to Jan. 15, and would extend the government’s borrowing authority through at least Feb. 7. It would also require both the House and Senate to name negotiators to try to reach a final deal on a 2014 budget, giving them a December deadline. The only major concession Republicans won was to include strict income monitoring of those seeking taxpayer subsidies under Obamacare. Sen. Ted Cruz, the Texas Republican who led the GOP into its stance to withhold government funding until President Obama canceled the health care law, said Wednesday he had no regrets, and blamed his Republican colleagues for not backing his effort. “Unfortunately the Senate chose not to follow the House,” Mr. Cruz told reporters. He said that as Obamacare takes root, Americans are seeing their health premiums go “up and up and up,” while others are losing the coverage they once enjoyed. Mr. Cruz did say he will not block action on the bill, which should allow it a speedier passage through the Senate. Before the shutdown, Mr. Cruz led a losing filibuster to try to stop passage of a spending bill, arguing he wanted to ensure it cut off Obamacare. The Treasury Department had said it would run out of maneuvering room under the $16.7 trillion debt limit on Thursday, leaving it to pay out bills only with the cash still coming in from taxes and fees. But Barclays financial services firm said in a memo Wednesday that it believes that cash would be enough to keep the government afloat through the end of the month, buying time for lawmakers to go through the hurdles of passing a bill through both chambers and getting it to Mr. Obama’s desk. In laying out the deal he struck, Mr. McConnell sought to shift the focus to the next battle already looming over the budget sequesters. Democrats have sought to undo the cuts, which are set to see a second round go into effect on Jan. 15. But Mr. McConnell said the next few months for Republicans will be about defending those cuts. Pentagon Withholding Death Benefits for Fallen Soldiers’ Families. The Pentagon has confirmed it will not pay death benefits to the families of troops killed in combat during the so-called government shutdown. With Obama’s recent startling admission that he won’t approve any measures to partially restore suspended government payments for purely political reasons, that puts the blame for this outrage squarely on his shoulders. Over the weekend, four soldiers — two of them Army Rangers — and one Marine were killed while conducting combat operations in Afghanistan. The bodies of the four soldiers will be returned to Dover Air Force Base on Wednesday. Due to the impasse, the families of 25-year-old 1st Lt. Jennifer M. Moreno; 24-year-old Pfc. Cody J. Patterson; 24-year-old Special Agent Joseph M. Peters; 25-year-old Sgt. Patrick C. Hawkins; and 19-year-old Lance Cpl. Jeremiah M. Collins, Jr. will not receive the $100,000 payment that they would have otherwise received within three days of the death. Adding further insult, the families will have to pay for their own travel to Dover. That’s a bill the Pentagon also says it can’t pay because of the partial shutdown. Privately, Defense Department officials say they wish they could pay the families and they admit it’s a disgrace that deserves national attention. Republicans are winning the shutdown fight, and Democrats know it. People turning on the news this week came away with the knowledge that it was about Obamacare and kept hearing that Democrats wouldn’t negotiate. They also learned that for some reason the President didn’t want Word War II veterans to tour their own memorial, and Harry Reid won’t turn the funding on for cancer clinical trials at the NIH. Oh, and the rollout for Obamacare is one big glitch. Late yesterday came word that the Amber Alert system has been shut down, but Barack Obama’s federally funded golf course remains open. Catholics are openly fretting that priests on military bases could get arrested for performing mass — at the very least they are prohibited from doing so. The President had to invite Congressional Leaders to talk, Harry Reid had to sit down with Dana Bash of CNN to explain himself, the shutdown coverage overall started to recede by Friday, and the Democrats began to shift the conversation to the debt limit. The polls are shifting against the Democrats. They will continue to shift as more and more Americans realize that this fight is fundamentally about the letter they just received informing them of massive premium increases. But the problem is that the expiration of the debt limit is on October 17th (or thereabouts, as the President manipulates it) and both Democrats and Republican Leadership have an incentive to merge a “grand bargain” to increase the debt limit with a continuing resolution that funds Obamacare. Both sides get to change the conversation–one to protect an unpopular law and the other to minimize political risk by reverting back to the norm–and get past two critical leverage points with a blend of GOP and Democrat votes. The result will be no substantial changes to Obamacare. It will be funded in its entirety. Sure, they will repeal the medical device tax and maybe add the Vitter language to have the illusion that Congress is going to live under Obamacare. Nothing real though. Don’t believe me? Listen to the reporting. Its all grand bargain and debt limit. The negotiations do not include Obamacare. So the question is do we want to stop Obamacare or do we want to stop the debt ceiling increase? My view is that we cannot do both at the same time. We might dare to dream, but the debt ceiling will be increased one way or the other. Right now the GOP is holding up very well in the press and public opinion because it is clear they want negotiations. The GOP keeps passing legislation to fund departments of government. It has put the Democrats in an awkward position. But the moment the GOP refuses to raise the debt ceiling, we are going to have problems. Remember, the last time you and I wanted the GOP to fight on the debt ceiling, the attacks from our own side were particularly vicious. They’ve been vicious over the shutdown too, but now that we are here, the water ain’t so bad and only a few ankle biting yappers continue to take shots at conservatives from the GOP side. It will not be so with the debt ceiling. And the GOP will no longer seem very reasonable. The debt ceiling fight will become an impediment to undermining Obamacare. Regardless, the only path to victory in this shutdown is to keep our fire on Obamacare and our focus on the defunding effort. We can still undermine Obamacare, but we need to resist the attempt to merge this with the debt limit and hold the line on the continuing resolution. Otherwise we will lose on both.